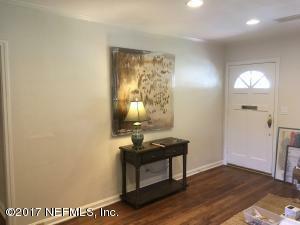 Charming and full of character, this remodeled 3 bedroom bungalow with great, welcoming front porch has it all. Industrial meets farmhouse style won't disappoint when you check out the new kitchen and bath. 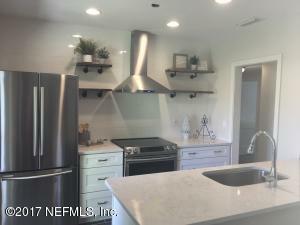 Hardwood floors, newer roof, new plumbing and new electrical as well as open concept living/dining to kitchen with large counter height breakfast bar, all new ss appliances, quartz counter tops and new white cabinetry. This home has a nice size backyard with a location that offers great convenience...stores, restaurants and grocery stores a short walk or drive away! 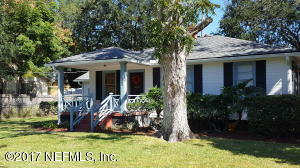 Downtown 5 miles away, I-95 mins and town center 15 mins...you can't beat this location with this home at this price! This home has been on the market since Oct 26,2017. Courtesy of PREMIER HOMES REALTY INC.